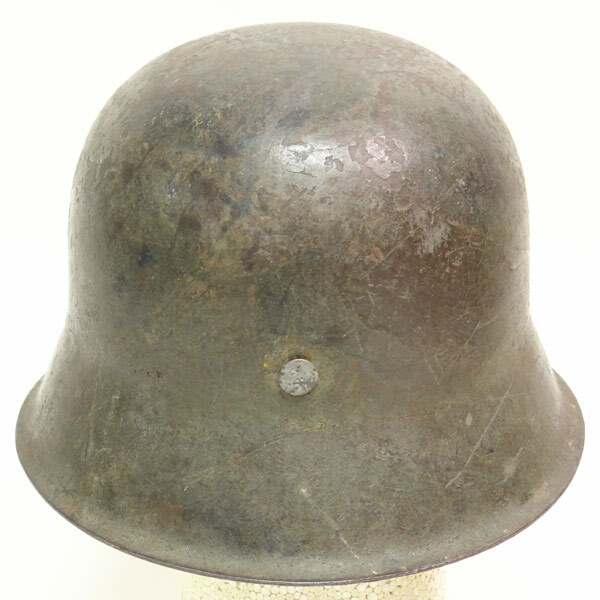 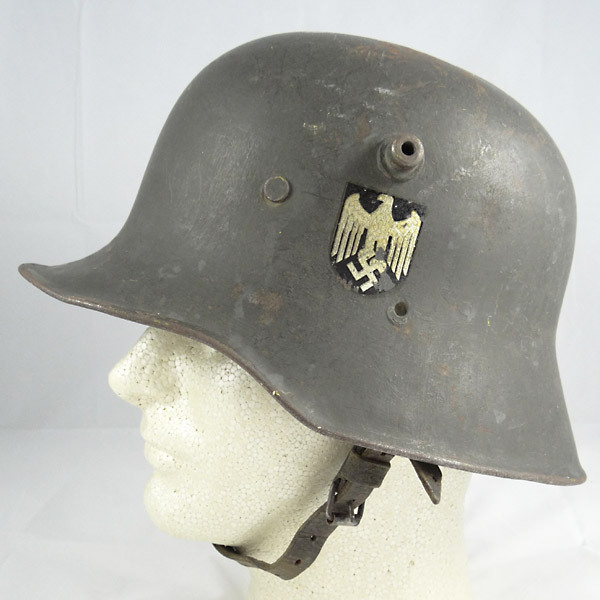 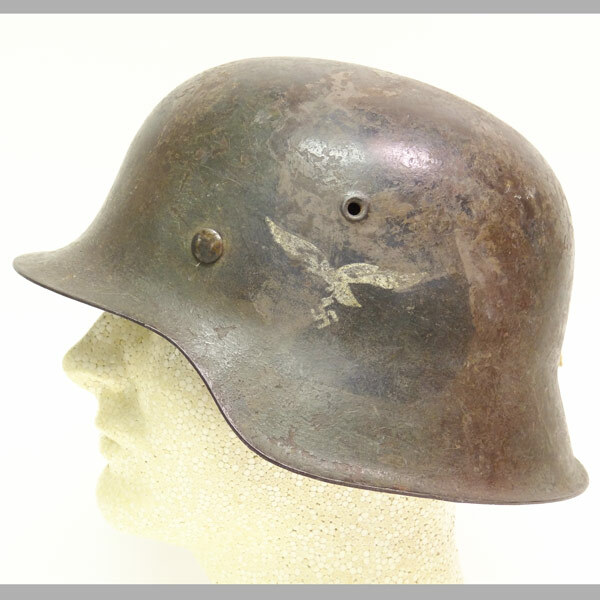 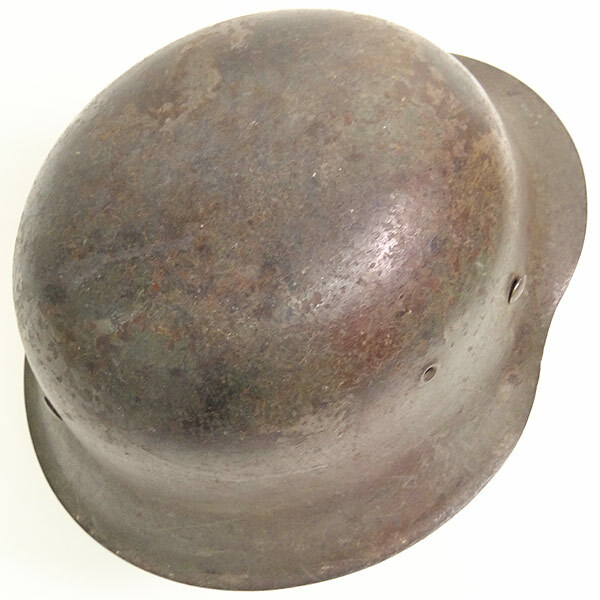 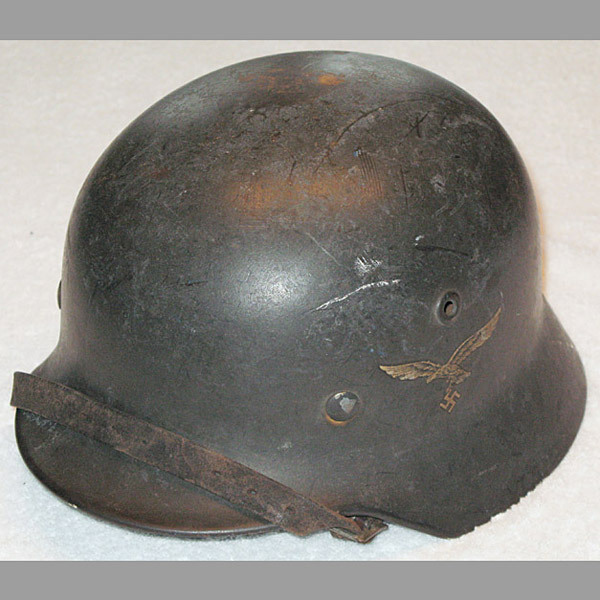 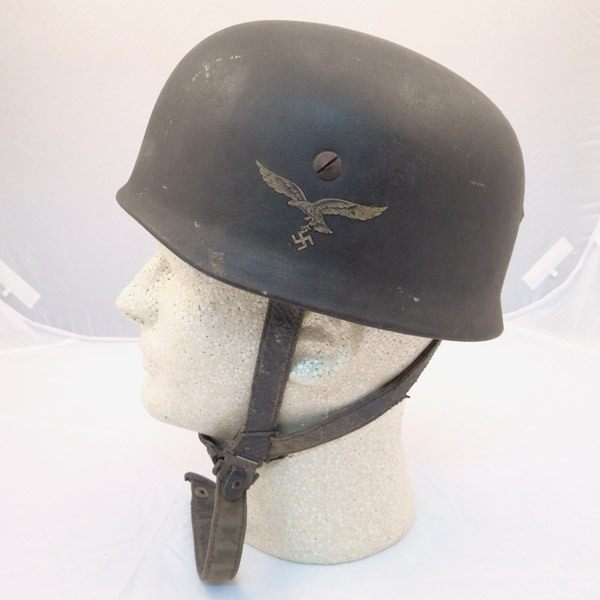 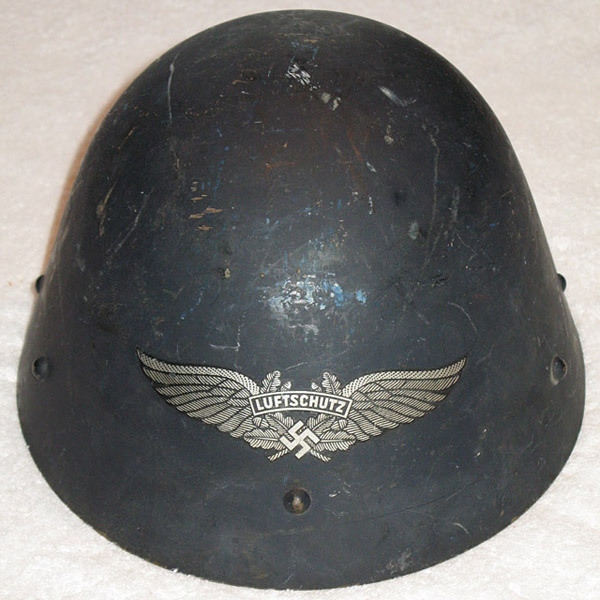 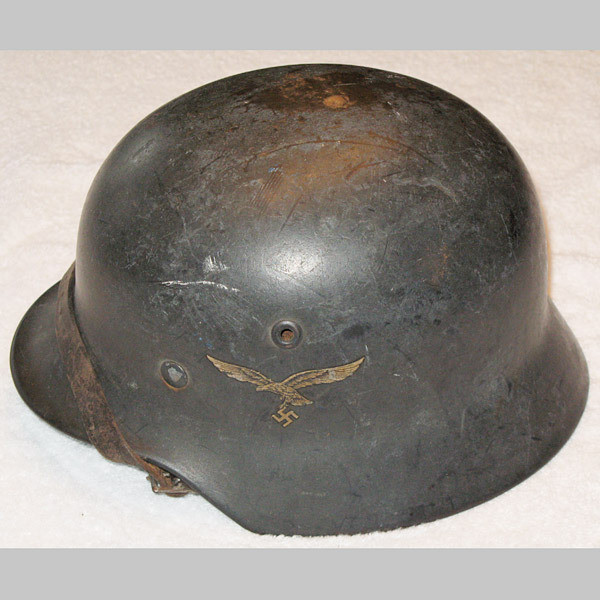 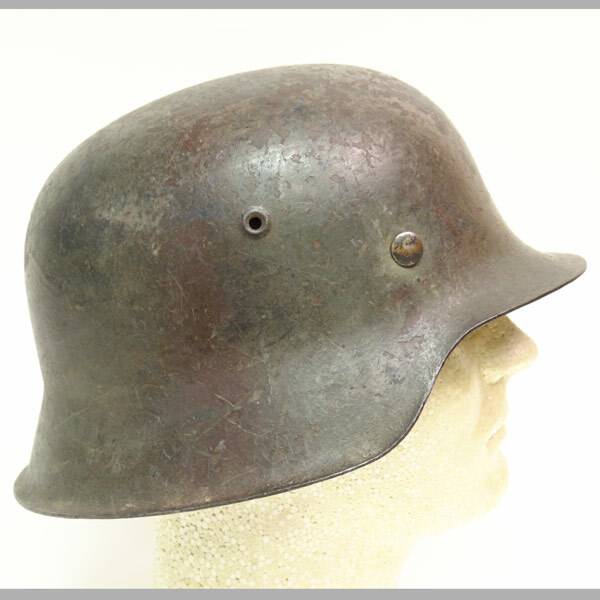 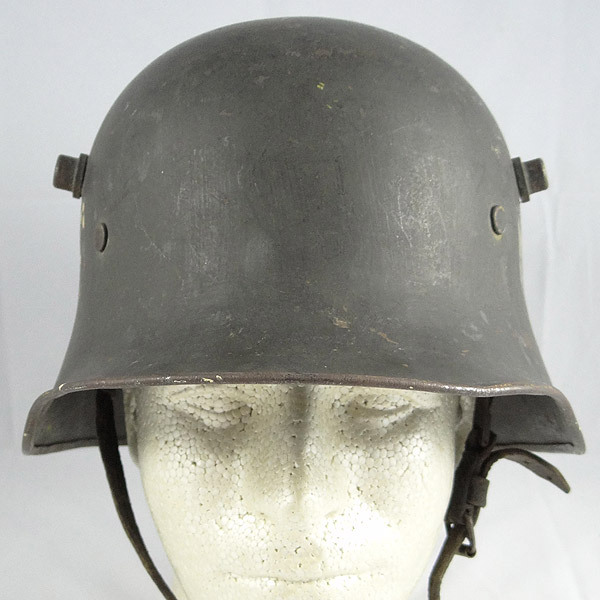 This is a smokin’ nice Single Decal M1942 Luftwaffe Camouflage helmet. 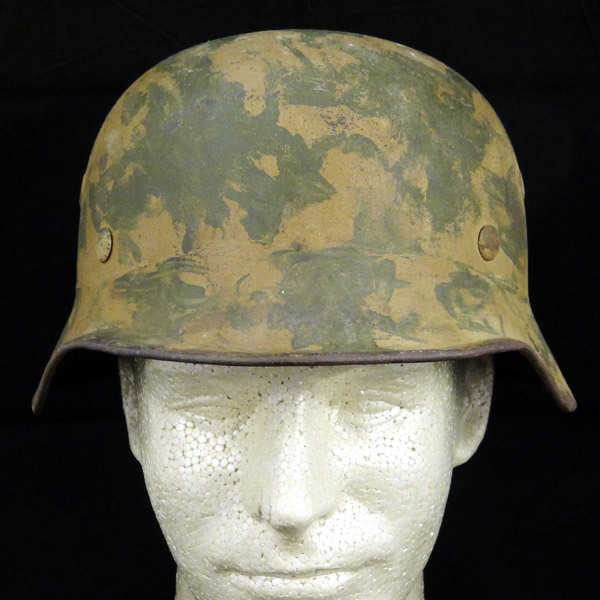 Tones of light and dark greens, browns and a lighter beige appear to have been applied either by brush or perhaps even by hand. 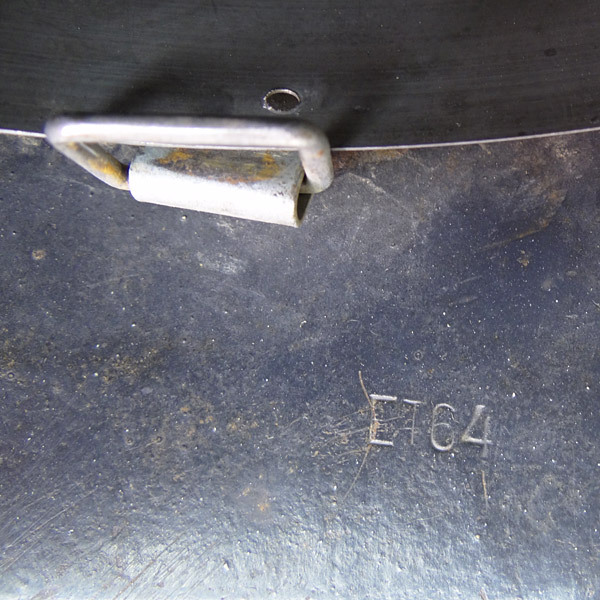 Thicker in some places than in others. 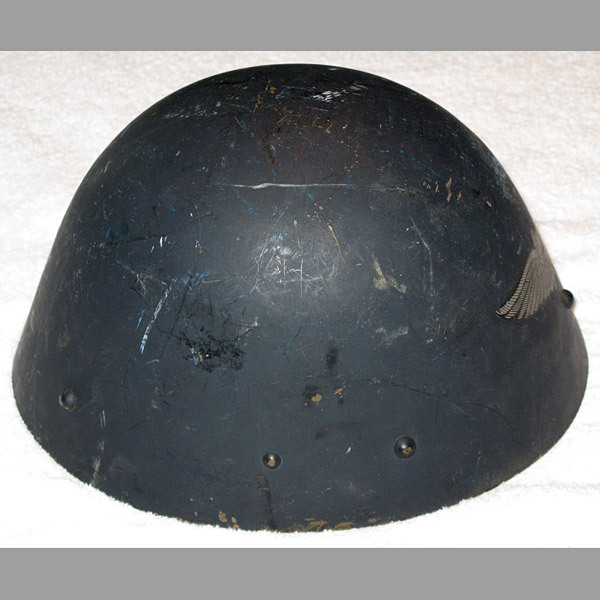 The helmet paint shows the normal dings from use, but also texture from the paint application(s). 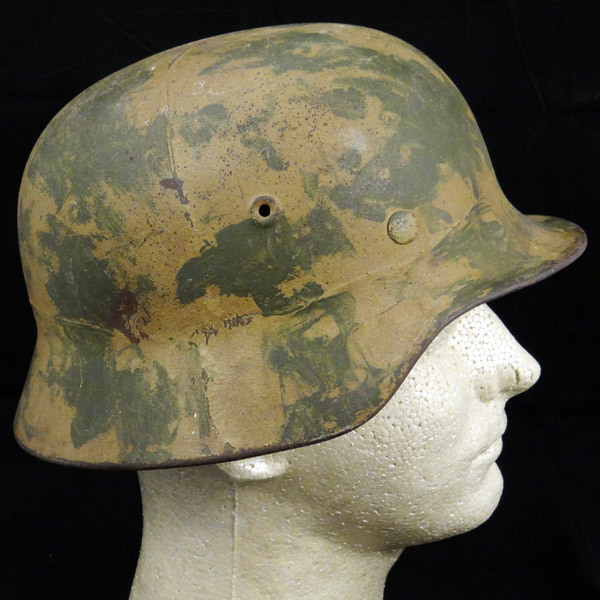 The paint shows signs of being scrubbed; removal of one camo application for another camo applications for different environments. 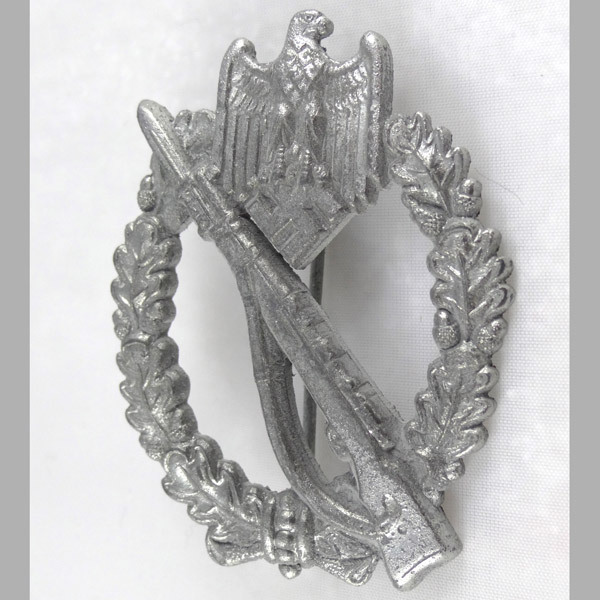 The eagle decal is almost 100%, however much of the fine detail is gone due to the many applications and reapplications of paint. 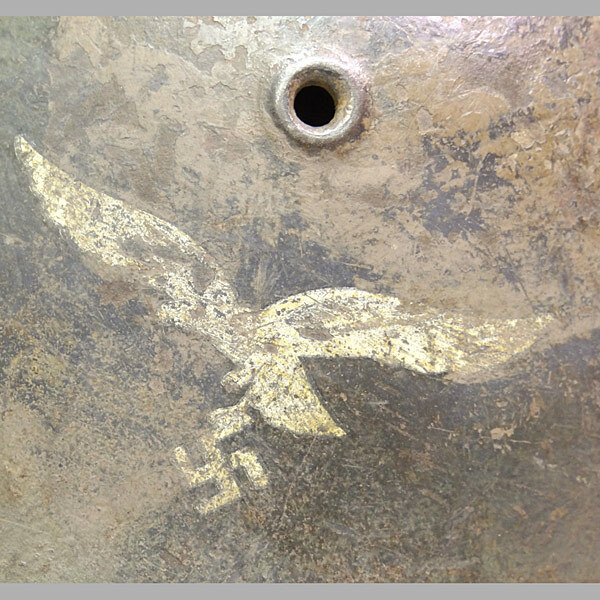 See the photo for a good detail shot of the eagle. 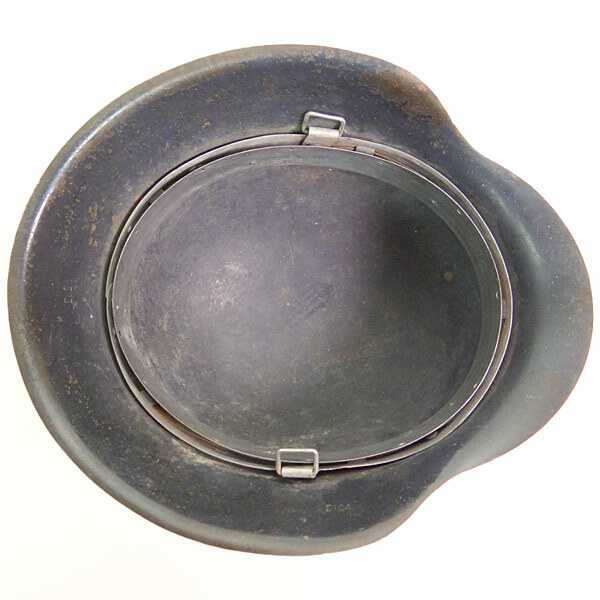 The liner is long gone, but fortunately all of the original hardware is still present if one so chose to replace the liner. 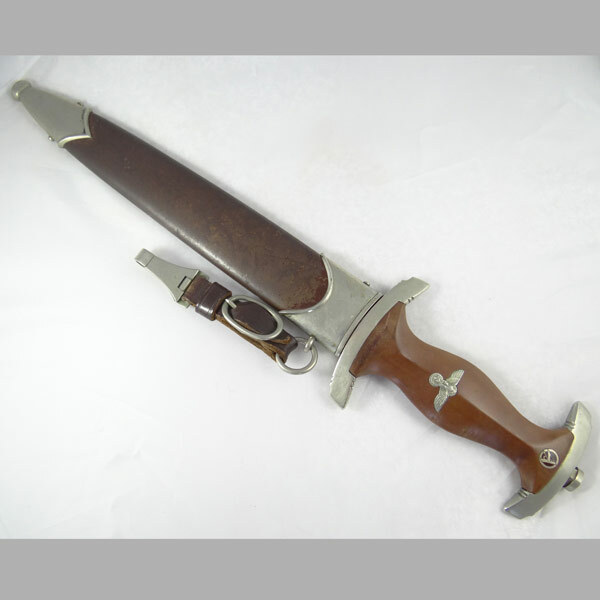 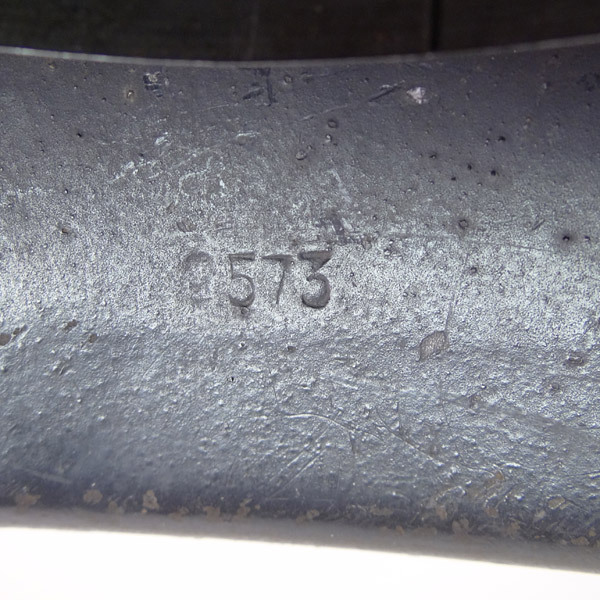 The stampings on the interior include of “ET64” and “2573”. 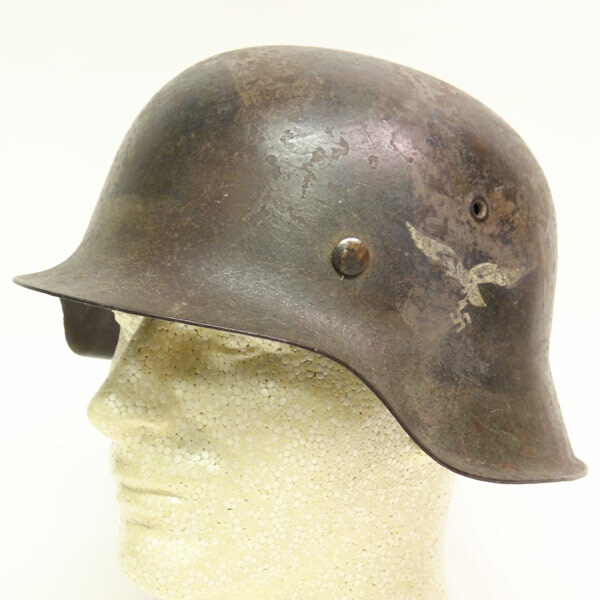 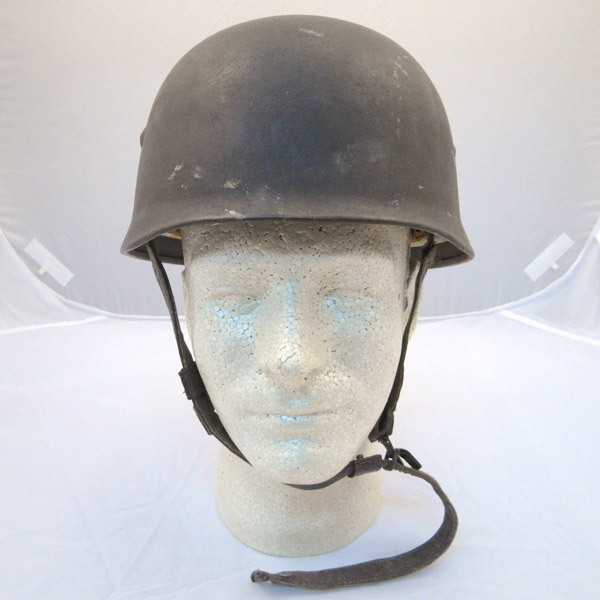 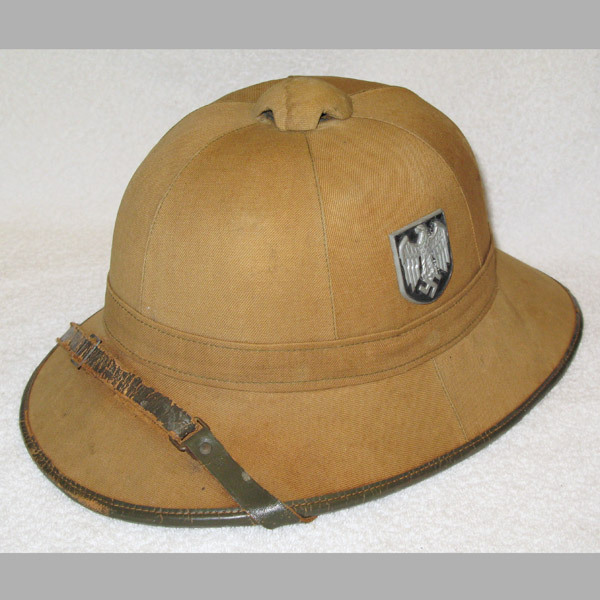 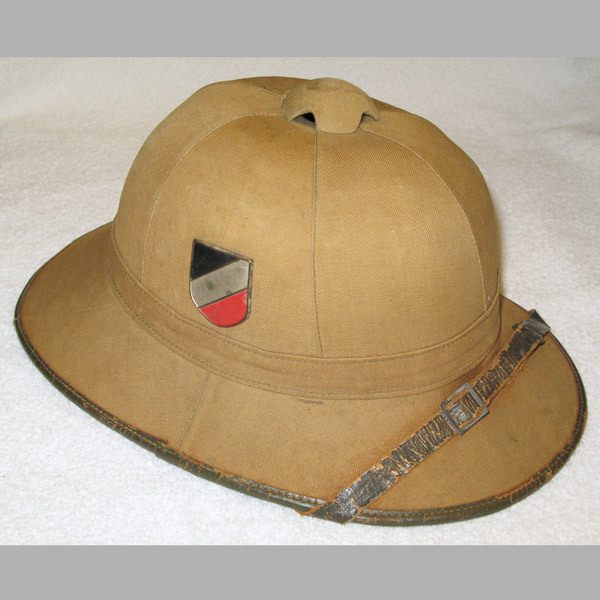 This is an overall amazing helmet, difficult to find in this fantastic condition!